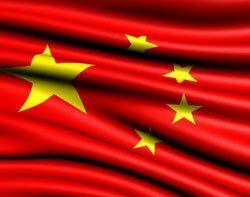 China’s potential as an offshore location for IT services is huge. While India dominates the global offshore IT services sector, China has many advantages. According to Reuters, the State Council – China’s chief administrative authority – will reduce corporate tax to 15% in certain cities and even trial a tax-free policy for international outsourcing services. It will also cut red tape, said the report. The government wants to move away from a heavy reliance on low-cost manufacturing and develop IT services and other value-add services. China has all the hallmarks of the perfect offshore location for IT – such as low-cost labour and a large supply of skilled IT professionals, with 350,000 computer science graduates every year. Another advantage for China is the fact that multinational companies want to get into the nation to benefit from its growth. One way of helping a business make a step into China would be to engage with an IT service provider there. In January 2013, Computer Weekly blog Investigating Outsourcing conducted an online survey, asking businesses whether they would offshore IT to China. Out of 123 respondents 44% said "no" and 42% said "yes". The increasing use of global delivery hubs in different regions might also prove an opportunity to deliver enterprise IT services from China. The recent 2014 Global Services Location Index, from AT Kearney, outlines the most advantageous places to outsource services to, which is relevant when making decisions on where to set up global delivery units. It looks at factors such as the cost of service and the availability of skills. Asian countries dominate the management consultancy’s index of the top 50 global locations, with India (1), China (2) and Malaysia (3) making up the top three. Eastern and Central Europe also feature in the index, with Bulgaria (9), Poland (11), Romania (18), Hungary (31), Czech Republic (33) and Slovakia (35). Latin America has two of the top 10 outsourcing locations with Mexico (4), Brazil (8), Chile (13), Costa Rica (24) and Columbia (43) also in the index. The Middle East and North Africa region featured Egypt (10), Tunisia (28), Morocco (34) and Mauritius (36) in the index. Writing for Computer Weekly in 2009, Michael McCourt, of the China-Britain Business Council in Shanghai, said Chinese companies were developing and learning extremely quickly. “There are opportunities for UK vendors who want to enter the Chinese market in partnership form either in ITO/BPO or software," he said. "Many of the mid-sized software companies in China have very good programming talent, good software engineers, have experienced but variable quality in systems architects and a lack of industry leadership, particularly in international markets. India's rapid growth in offshore IT services was stimulated by the Y2K bug, when western firms needed low-cost mainframe skills. China could benefit from the tough economic conditions and the desire for global businesses to be in and around the high-growth Asia Pacific region.